Any questions regarding this policy and our privacy practices should be sent to us by email to contact@asseenfromthesidecar.org or via our contact form. We are two guys, Matt and Reece, attempting a record-breaking circumnavigation of the Earth on a motorbike and sidecar to raise awareness of modern day slavery. We obtain information about you when you submit our contact form, subscribe to our newsletter, comment on our blog, donate to our cause or browse our website. We only collect information which allows us to respond to enquiries, subscribe you to our newsletter, share blog comments, accept donations and to facilitate website analytics. 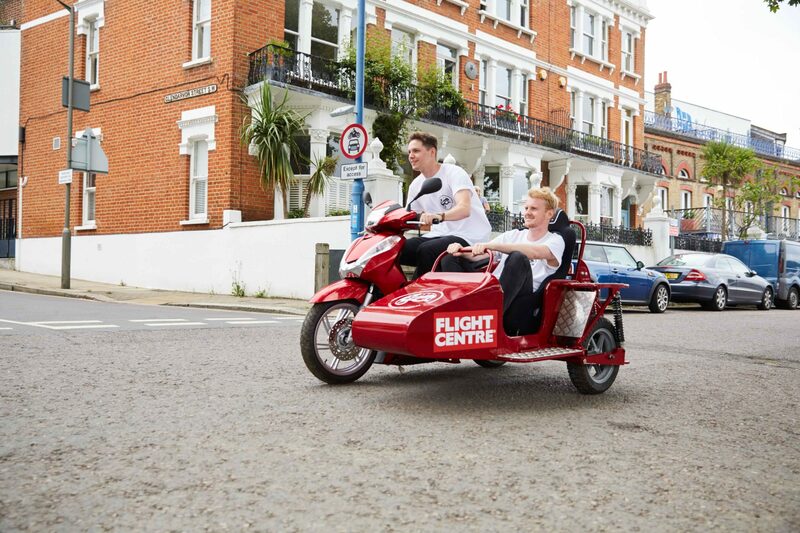 We are two guys, Matt and Reece, attempting a record-breaking circumnavigation of the Earth on a motorbike and sidecar to raise awareness of modern day slavery. The following people are to be considered website administrators for the purposes of accessing your personal data as outlined below: Matt Bishop, Reece Gilkes and Todd Specht. If you require more information about these people or their roles please contact us. We obtain information about you when you submit our contact form, subscribe to our newsletter, comment on our blog or make a donation. We also use Google Analytics to collection information from you as you browse our website. We collect information to allow us to respond to your enquiries and provide you with out newsletter. We also collect information to allow us to monitor the day-to-day operations of the website such as referral links and website traffic. See the Google Analytics section of this policy for more details. When contacting us via our contact form we ask you to provide your name and email address so that we can respond to your message. This information will be sent via email to contact@asseenfromthesidecar.org so that we can respond to you directly and a copy will also be stored in our website’s database for reference. Your information may be shared with other people within our organisation if it will allow us to better respond to your query. This information is stored in our website database to which only the website administrators have access and will be kept indefinitely unless you explicitly request that they be deleted. If you leave a comment on our blog we will ask you to provide your name, email address and optionally a website link so that we can identify who left the comment. We will also publicly display your name alongside your comment for other visitors to see and link to your website if you provided one. This allows you to ask questions or otherwise discuss aspects of our website. This information is stored in the website database to which only the website administrators have access and it is not shared with any third-parties. We will keep this information indefinitely unless you explicitly request that they be deleted. To maintain flow of conversation comments may not always be deleted on request, but all personally identifying information will be removed. If you choose to make a donation we will ask for your name and Twitter handle so that we can identify who made the donation. We may also ask for your address if you are donating in return for a physical reward. We will publicly display your name alongside your donation amount and any optional comment you make for other visitors to see. This allows us to showcase the donations we have received and publicly acknowledge our donors. This information is stored in the website database to which only the website administrators have access. Some of the information provided will also be shared with Stripe to facilitate the financial transaction, please see the section on Stripe below for more details. We do not ever see your financial details ourselves and we do not store any information about the transaction which isn’t explicitly listed in this policy. We will keep your donation information indefinitely unless you explicitly request that it be deleted. To maintain consistency in our donation total donations may not always be deleted on request but all personally identifying information will be removed.